When you think of a casserole, you might be conjuring the image of that questionable tuna casserole from your aunt who really can’t cook–yuck! But lucky for you, today’s casserole recipes have are delicious, one pan meals. They are easy to put together and filling enough to feed your whole family (and maybe have some leftovers too!). 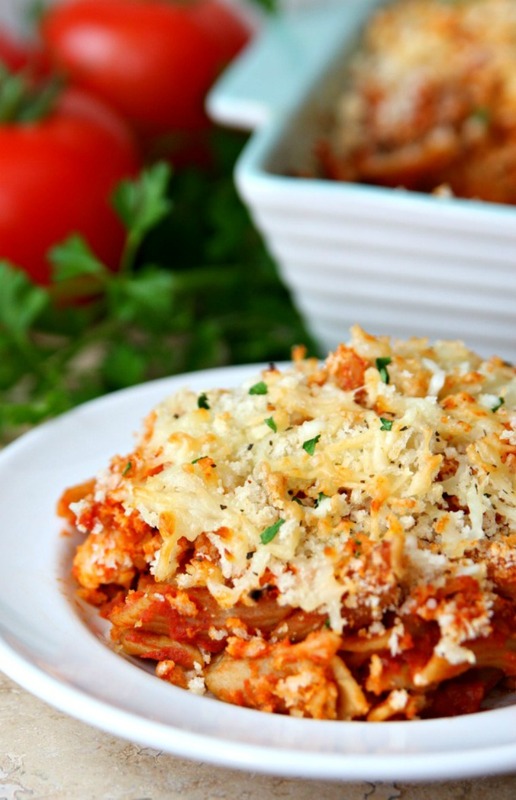 Here are some hearty and yummy recipes to try out for dinner tonight. Enjoy the minimal clean-up! For saving all your favorite casserole recipe, check out the shared collections on Cookbook Create where you can store, share, or even collaborate with friends and family on your beloved dishes! Christy of The Girl Who Ate Everything shares a recipe that combines the best of finger foods- tater tots and tacos. 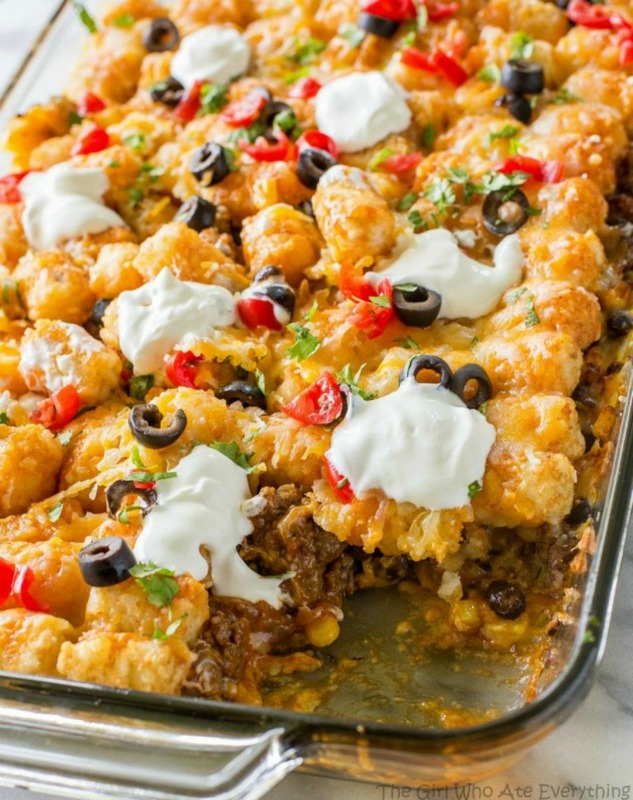 Layered with Mexican flavors and finished with tots, this recipe will have the kids wanting second helpings! On Making Thyme for Health, Sarah shares a bounty of seasonal vegetarian recipes. 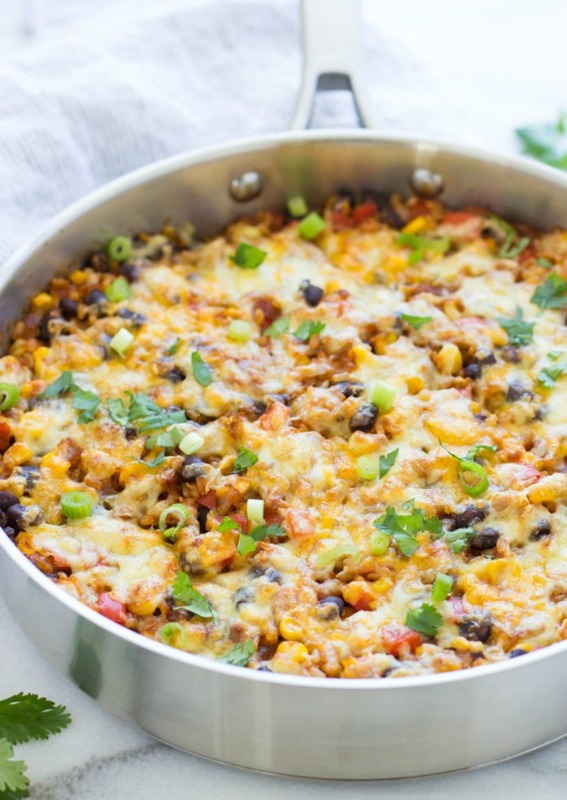 This Mexican skillet is made with sprouted brown rice (for extra nutrients) and loaded with all the goodness of Monterey Jack and Cheddar cheese. Take this for a spin on Meatless Monday! If you’re a mushroom lover, then this creamy dish from Natasha of Natasha’s Kitchen is just the recipe for you. 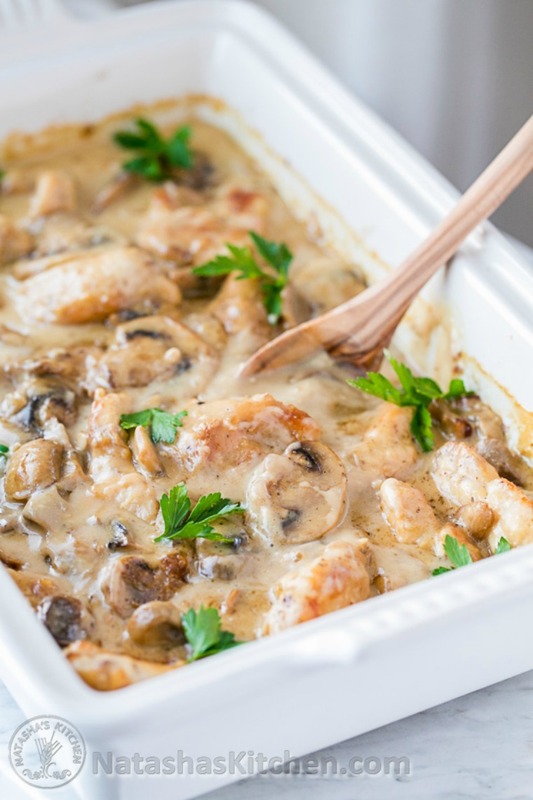 Chicken is fried and then topped with mushrooms, onions, and a creamy lemon sauce. This indulgent recipe holds up well in the fridge, making it a great option to have as leftovers. A Ravioli casserole only means one thing- cheesy goodness in every single bite. Farah of The Cooking Jar shares this few ingredient bake that combines spinach, artichokes, pre-made ravioli, pesto, and alfredo sauce. Talk about a creamy bite. 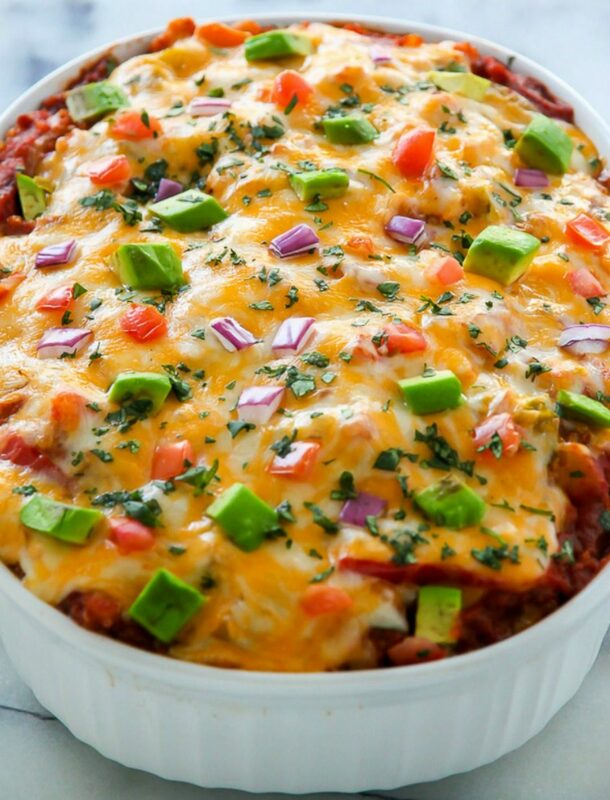 Another inventive recipe using quinoa in a casserole. Lindsay of Pinch of Yum shares a favorite of her one pan recipes that she enjoyed as a child on cold winter nights. 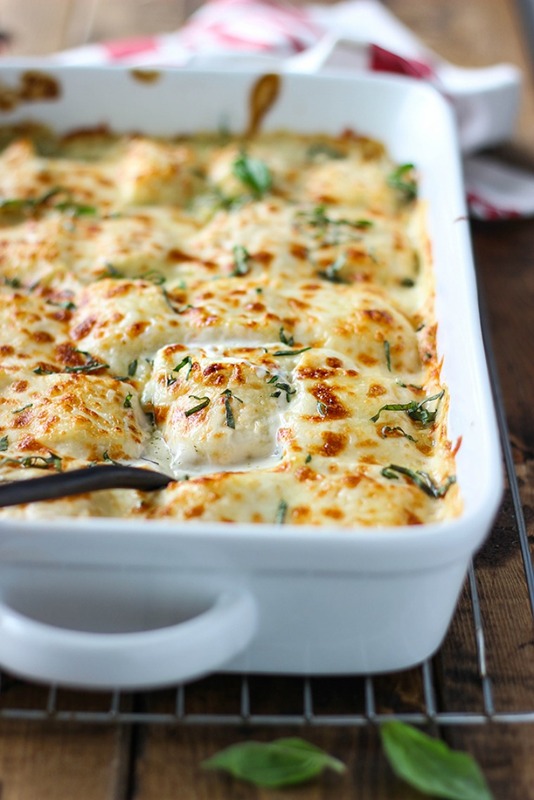 Using Gruyere cheese in her recipe, every bite just gives you one big hug. Add this to your comfort recipe list. For a recipe on the healthier side, this dish from Meghann of Simple Green Moms is just the dish to make. 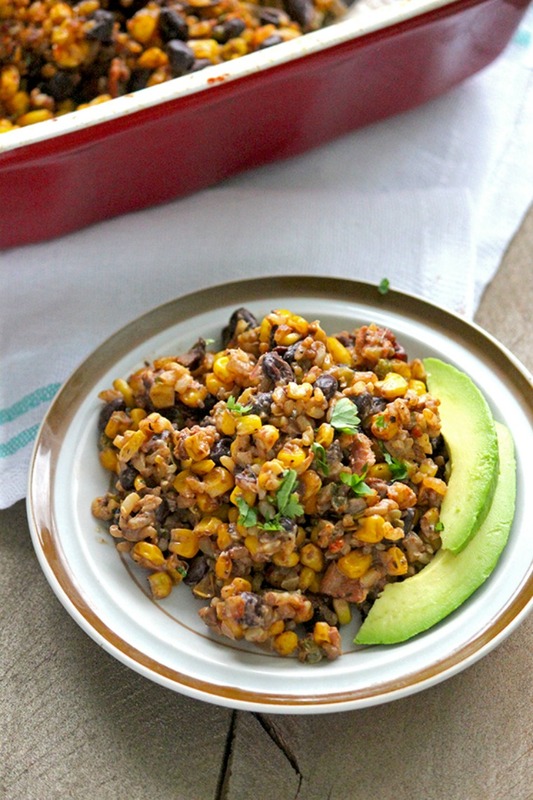 Packed with black beans, corn, pepper, brown rice, cream cheese, and a Mexican spice blend- this recipe is hearty enough to stand on its own without any meat added. Another great dish to try out for Meatless Monday. A great spin on Pizza night. Jessica Erin of Stuck on Sweet shares a cheese and meat filled recipe that will for sure be a winning dinner. 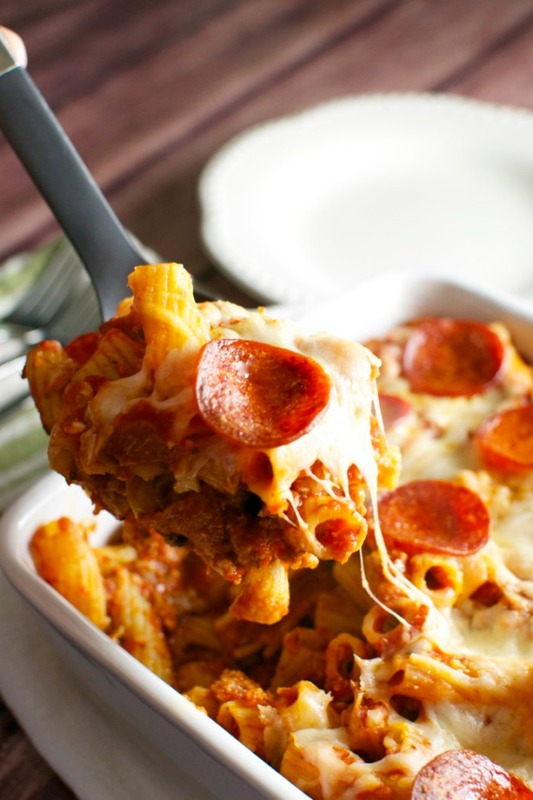 Filled with pepperoni, sausage, pasta, and cheese, you might find yourself making doubles of this recipe since everyone will want a second serving. Jordan and Clark of The Fitchen share a great vegan packed with flavor. 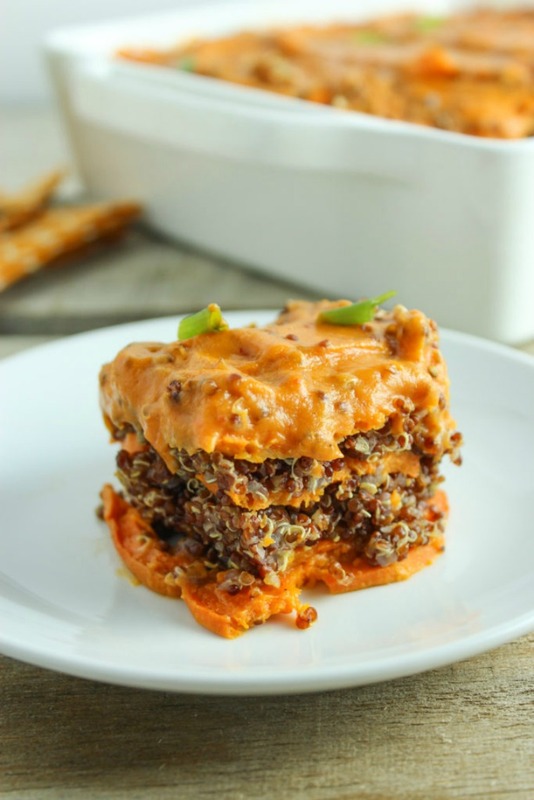 Creating a layered dish with sweet potatoes, cauliflower, and quinoa, every bite is filled with heat and vegetable power. Love the classic Southern dish of Shrimp and Grits? 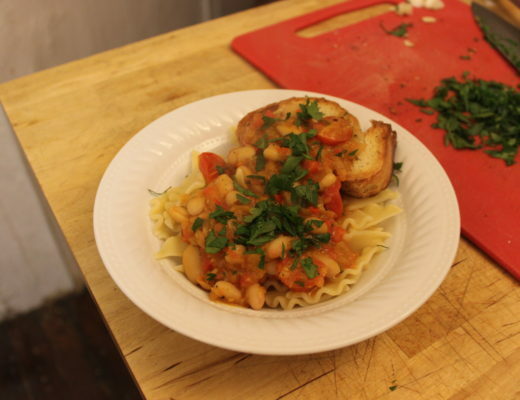 Then this dish is a must try from Carole of From a Chef’s Kitchen. 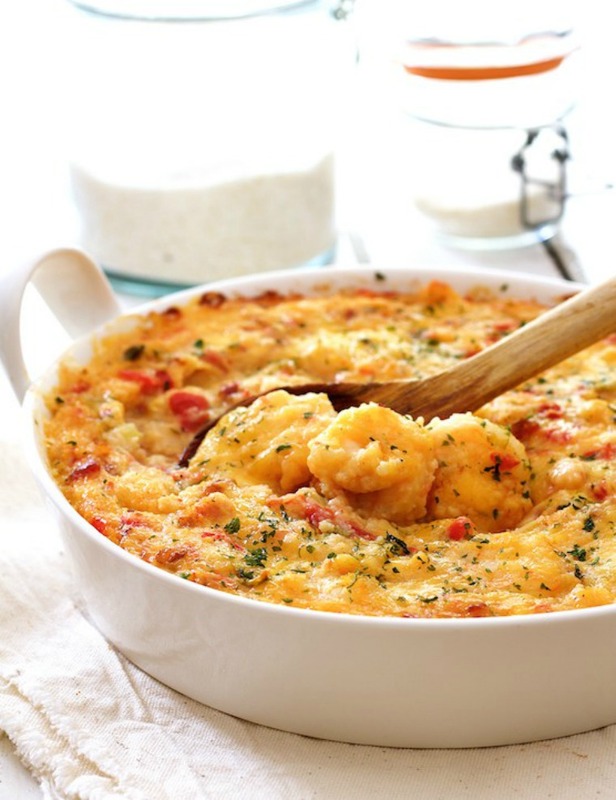 With ingredients such as shrimp, gouda, bacon, butter, and grits, every bite of this decadent dish is like a big hug. Make this for nights when you need an extra serving of love. For a great breakfast that’s easy to put together on the weekend, check out this recipe from Erin of Lemon Sugar. 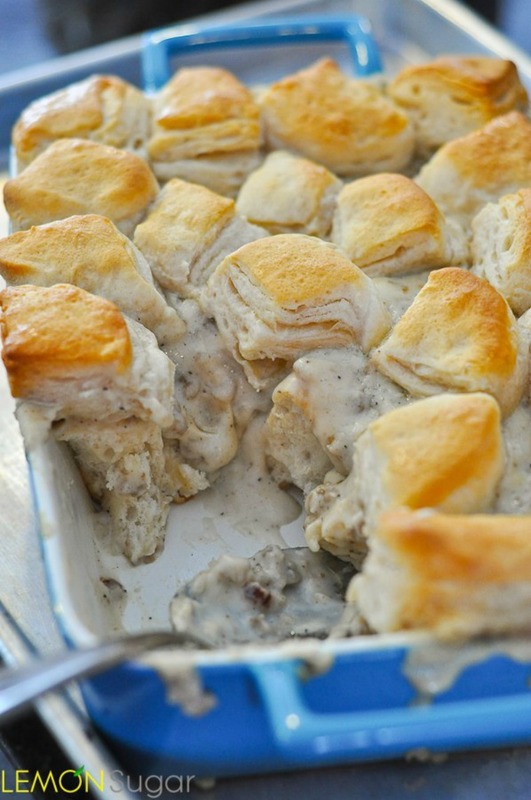 Filled with breakfast sausage and pre-made biscuit dough, this dish comes together in no time. 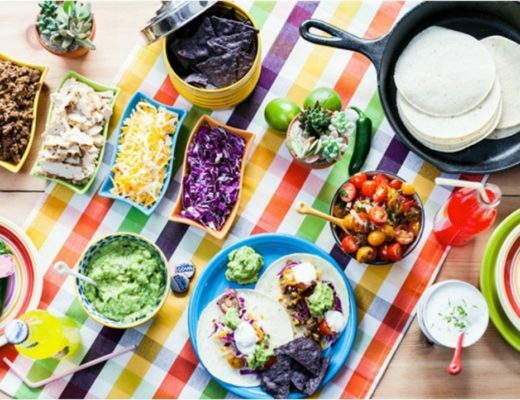 For an easy dinner during the week, this dump and bake recipe from Kara of Happy Go Lucky Blog is one to add to the rotation. Just add noodles, chicken, pasta sauce, parmesan, and breadcrumb to a pan and you’ll have dinner on the table in 20 minutes. Deborah of Taste and Tell has a great one pan recipe that cooks up in under an hour. 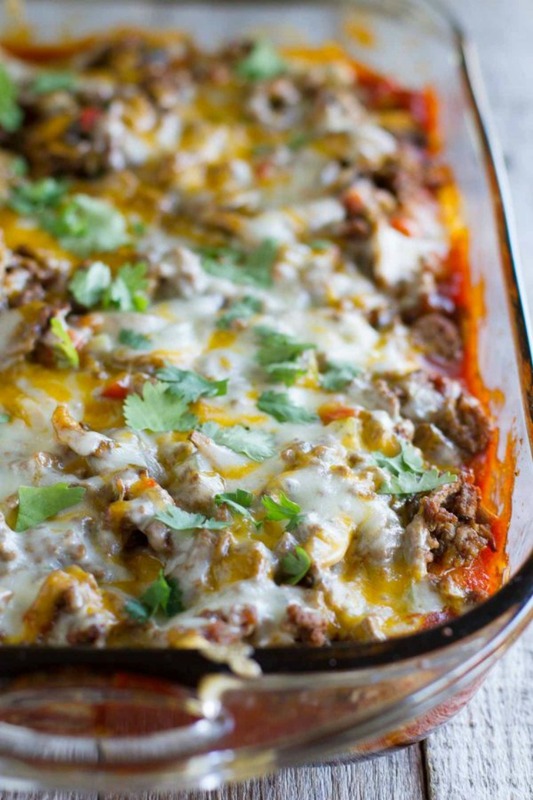 Filled with meat, cheese, mushrooms, and Mexican flavors, this dish will soon be a family favorite. 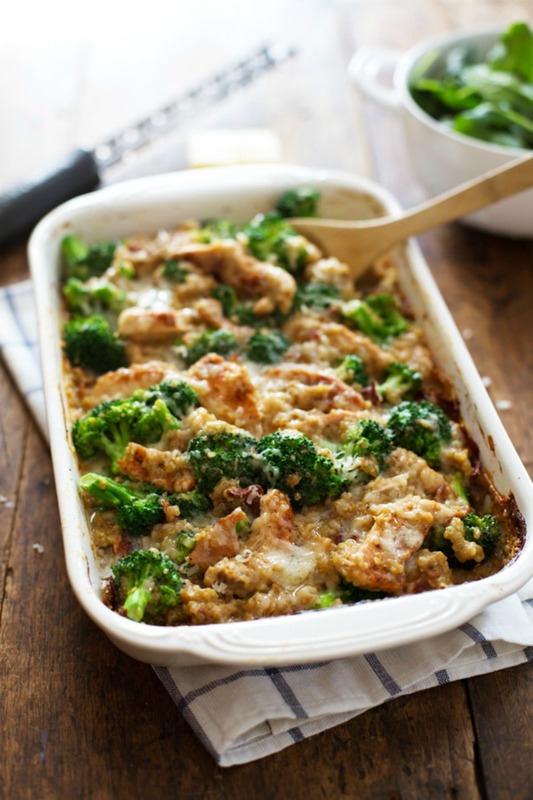 Have you fallen in love with Casseroles yet? Why not make a cookbook filled with all you favorite recipes? 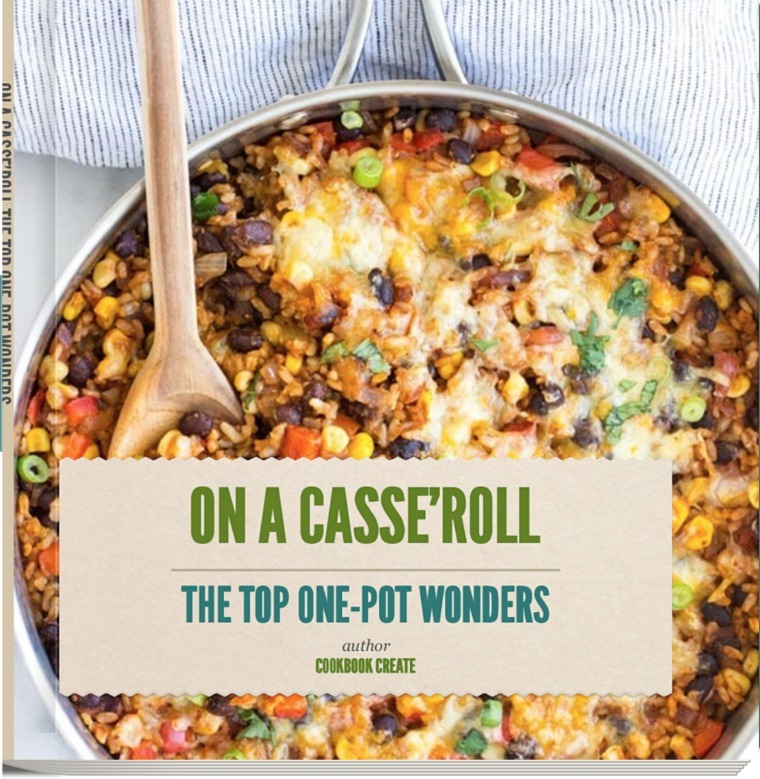 Make a Casserole themed cookbook with Cookbook Create today and get those one pot meals on the table in no time! 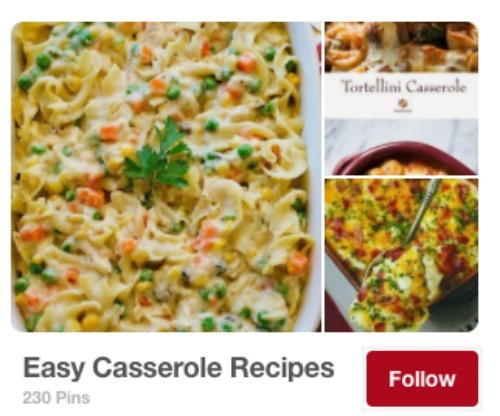 For more inspiration, check out our Casserole Pin Board or follow us on Instagram for drool-worthy recipes! The listed items are amazing. And I would suggest that one of the best healthy cookbook that London’s Ottolenghi’s Plenty Vibrant Recipes. Thanks Aryanna! 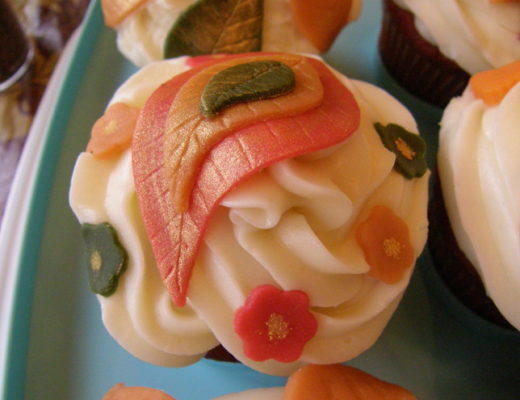 We’re happy you like these recipes! And yes, Ottolenghi’s cookbooks are stunning and filled with delicious recipes!